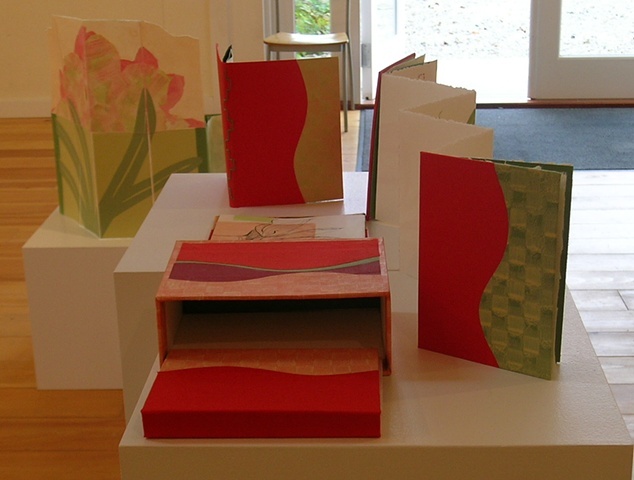 Boxed set of four books depicting stages in the life cycle of an Amaryllis. Each book has a different reveal. Book board, artist made paste papers, silk book cloth, Canson papers, colored pencil, pen & ink, beads, waxed linen, embroidery threads.